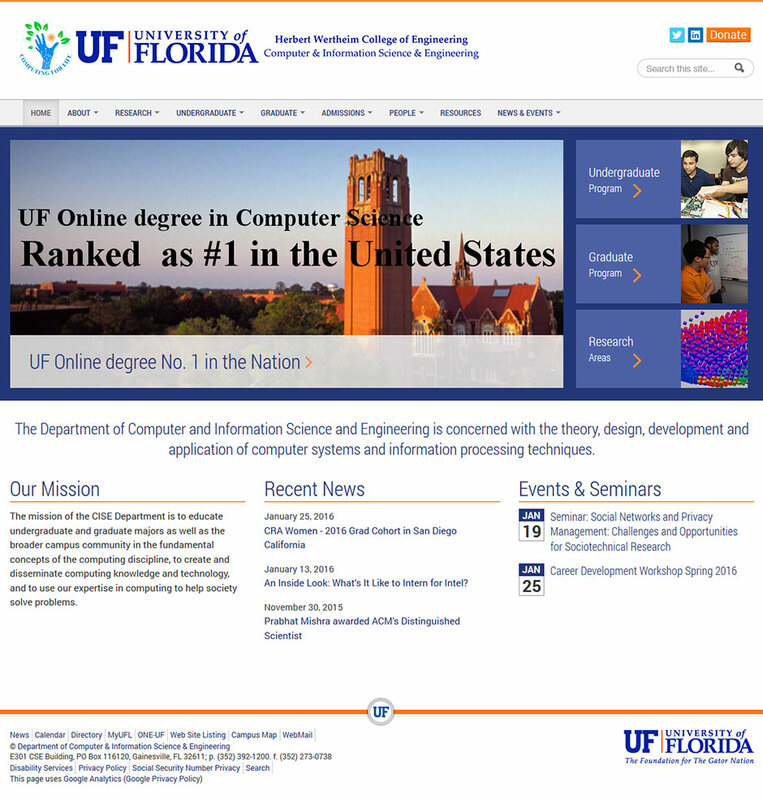 The UF Department of Computer and Information Science and Engineering is concerned with the theory, design, development and application of computer systems and information processing techniques. We designed and developed their responsive Drupal site. The site is now responsive and mobile friendly. The Drupal admin allows the content managers to easily update the site. We taught a Drupal CMS training session at UF. After the session, the faculty was able to add, edit, and delete content.